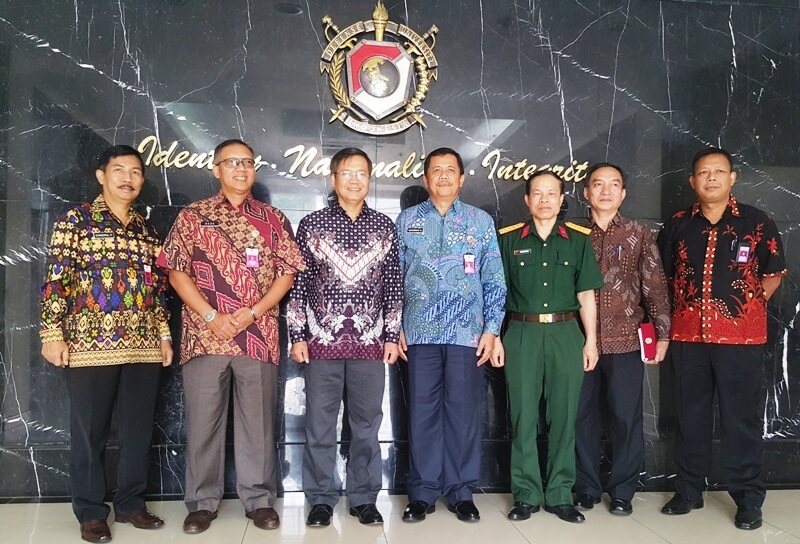 (News from DSQVN in Indonesia) – December 11, 2015, the Indonesian Ambassador to Vietnam at Hoang Anh Tuan had a working visit to the University of National Defense (Defense University), Indonesia. This is the case with the most important role in the school system of the Republic of Indonesia Army, annually training over 500 students is the commanding officers and senior leaders of the navy, air force and army DOD. The university has two faculties are: Faculty of Science Strategy and Management Defense Defense, with 14 training programs include most of the areas of military defense. Indonesian Defense University has training partnerships with many countries in the region and the world. On behalf of the school, Major General Air Force Djapri Suparman, Deputy Director expressed his appreciation to the Ambassador visited the school. Suparman Djapri said Major General, Defence University, as well as Republican Army generals Indonesia appreciate historical tradition, experienced the struggle for independence of Vietnam, expressed his wish to further boost military systems, military and defense between general and between the Indonesian National defense University to the military academy of Vietnam in particular. Major General Suparman Djapri that bilateral relations Vietnam-Indonesia in ASEAN is very important and hopefully next time the exchange of visits between the two countries will be further promoted and the two sides will discuss the issues that matter most interest, including the situation in the South China Sea, the military cooperation between the two countries in contributing to peace, security and prosperity nih region. Suparman Djapri Major General expressed willingness to welcome Vietnam students to study at the National Defense University of Indonesia, at the same time, the school will inform the delegation is expected to visit 30 students, learn the knowledge, experience military, defense and Vietnam in the coming time. In response, Ambassador Hoang Anh Tuan expressed his pleasure to visit the school, thanked leaders of the National Defense University was respectfully received, intimate. 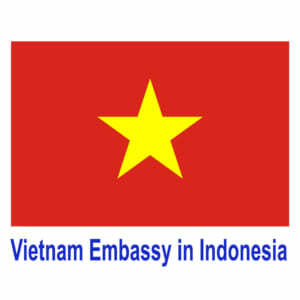 Ambassador said that the strategic partnership Vietnam-Indonesia is developing fruitfully in all fields, from economics, politics, defense and security, education and training, including international relations rooms are bright spots, the pillar of the strategic partnership. Ambassador Hoang Anh Tuan appreciate the important role of Indonesia in Southeast Asia, and Indonesia expressed their desire to continue to contribute positively to the consolidation of peace and security in the region. On this occasion, the Ambassador expressed his appreciation to the school leaders in principle ready to receive students from Vietnam to study, simultaneously invite school leaders visited the embassy and Vietnam. Suparman Djapri Major General expressed his thanks and happily accepted the invitation.